Today I am going to share with you some easy wins to get more sales. Now, normally I talk about all the things you need to be doing like setting up your website, etc. But not today. Save that for tomorrow. We will procrastinate today and only work on these easy wins and save the heavy stuff for tomorrow. Today we want some sales right now. I am going to give you a few tips to get sales right now. If you have some customers, there are some easy ways to get a few quick sales and I am going to tell you how to do it. Now, you have a lot of these — those people who nearly, or almost buy something. They like you, know who you are and know what you do. But — they are just not quite ready to commit. Those are the people you want to target. For example, you are sending out emails to a list you have, go back through your stats and look for who opens your emails. Jot down a few at the top and look for patterns. Then go back to your regular customer list and see if they are on there. Then add them to a list on the side. Just jot it down. If they are not in that list, add them to another one and then send them a personal email. Then say, “I would like you to call me. You can contact me at this number”. Make it very brief and to the point and then end it with your name. The other thing you can do is to target your current customer base with a nearby social proof. For example, if you are a printer, you can deliver some goodies to a business on an industrial estate. You can do that for the neighbor, and for the next one, and the next one, and the three across the street. Now you might think, why waste my time doing that? But here is the thing — somewhere along the line someone is going to need your services. Who better to need it than the ones you have talked to and have been recommended by your customer Jeff? Now you’ve told them that you provide supplies to their neighbor, they might pop in one day and ask them how your services are because their printer person is not that good. What are the chances of them not giving you a try? Your customer is going to sing your praises, because you treat them right. Then your possible new client is going to want to try you because it makes them look good. So do that. You can even have a leaflet printed and have your delivery drivers drop them off at the 2 or 3 properties beside where they delivered product. Just make it as easy as possible. For example, tell them, ” For every customer that comes through as a result of them dropping in a card, they will get a $20 bonus or something like that. Now, how do you trace that? So, what you do is you print business cards and on the back you give them a code. Now this code will relate to that specific driver. Say the driver’s name is Michael. You could put “Mike54”. Then you could say, when you call in to order be sure to mention the code on the back. Then whoever takes the call can keep a record of those and when Michael realizes all the bonuses he is getting, he will give them out more often. Now– what if you applied this same approach to your top customers? So for every 4 or 5, you gift something to that customer without telling them. 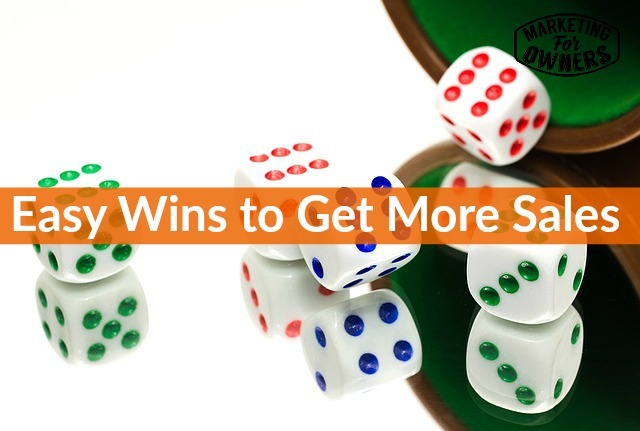 These are some easy ways to get more referrals and more wins. Don’t miss tomorrow’s interview series with Chris Ducker! He is amazing. I cannot wait for you to hear it. See you tomorrow.